What does it mean to be the best waterproof or underwater camera in 2017? Well if you're heading off for your summer holidays this year, whether you're off to the Sunny climes of the Med, or the hopefully Sunny shores of Cornwall, a holiday means one thing... Sun, Sand, and Sea. If you don't want to risk getting sand and salt in your smartphone and wouldn't touch a paddling pool with a barge pole with your DSLR, well you're in luck - we've lined up a fabulous selection of waterproof, rugged, and underwater cameras that don't mind getting up close and personal with a fish or two, and can put up with a bit of sand as well. It's not just their ruggedness and suitability to aquatic environments that earned these cameras their place on this list, they're also up to date with the latest in camera tech, with features including Wi-Fi connectivity to wirelessly transfer your images to your smartphone, and GPS, temperature sensors, compasses, and the latest high quality imaging sensors as well as often including 4K video recording. Available in subtle black or outrageous orange colours, the Ricoh WG-50 is a rugged, tough, waterproof camera with an impressive 16MP sensor and Full HD 1080p video recording that's designed for adventurers and outdoor enthusiasts. Internally there's a 5x optical zoom to get you closer to your subjects, it's waterproof down to 14m, and shockproof from 1.6m so you don't have to worry about dropping it and comes with various shooting modes to make your life easier, including macro mode, underwater mode, digital microscope and landscape modes. The in-built LED lights around the lens act as extra illumination for close-up macro shots. 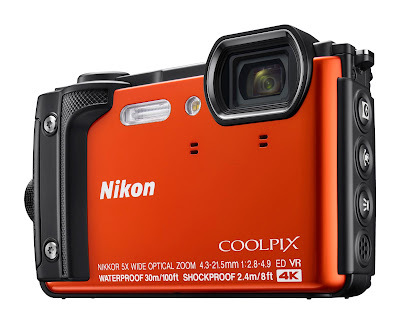 The deepest diving camera on this list, the Nikon Coolpix W30 can be taken down to 30m underwater, and with a 16 megapixel sensor will capture stunning images in the process. It's not just waterproof, but rugged and shockproof from 2.4m, freezeproof down to minus 10 degrees Celsius, and capable of shooting 4K video at 30p - so it's not light on features. The built-in GPS and wireless connectivity including SnapBridge, Wi-Fi and low-energy Bluetooth mean the Nikon W300 is ready to perform with the latest smartphones and means you can instantly share your images straight from the beach. 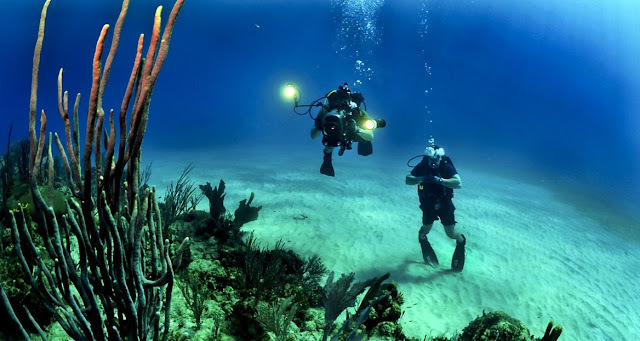 The most affordable option in this line-up, the Panasonic FT30 represents an outstanding option if you're just looking for a simple camera that is lightweight, compact, and stylish camera that can take pictures underwater. 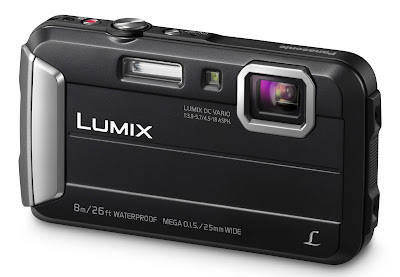 The Panasonic FT30 is waterproof down to 8 metres, and can survive a drop from 1.5m - it'll also survive the sand as it's also dustproof, and with a 16.1 megapixel sensor and 4x optical zoom, it provides outstanding quality images from a budget compact camera. 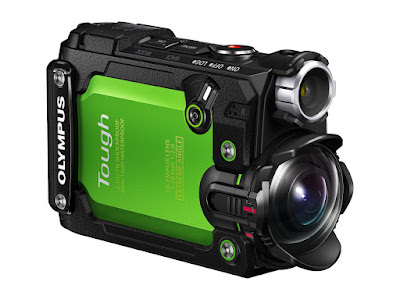 Technically an action camera rather than a dedicated underwater camera, the Olympus Tough TG-Tracker has a high resolution 20 megapixel sensor and will shoot 4K video at 30p or Full HD 1080p at 60p. This camera won 'Best Action Camera' in the Park Picks 2017 awards - and rightly so. Olympus have managed to pack an incredible amount of features into the TG-Tracker, including a Flip-out LCD monitor, wide-angle lens with a 204 degree field of view, a 60 lumen spotlight, Wi-Fi connectivity, and tracking and field logging features. It's waterproof down to a massive 30 metres, it'll survive a drop from 2.1m, it's crushproof to 100kg, dustproof, freezeproof to minus 10 degrees Celsius, and has sensors to record acceleration, altitude, depth, temperature, direction of movement, latitude, and longitude. To conclude then, the Olympus Tough TG-Tracker is one of the most feature-packed action cameras available and it's perfect if you want to take it on a deep dive, or just splash about in the shallows. The second Olympus camera on this list, the TG-5 is a cousin of the TG-Tracker and is similarly feature packed but has the edge when it comes to image quality. The Olympus Tough TG-5 features a new 12 megapixel sensor, which gives it a much improved low light performance thanks to larger and more widely spaced pixels. This means that when you're shooting underwater and the water is murky or lighting conditions are less than optimal, the TG-5 has the capability to capture superb images with ISO performance up to ISO 12,800, which is further bolstered by the wide-open f/2.0 lens that lets in huge amounts of light. Feature wise, the TG-5 is no slouch - it'll shoot 4K video at 30p, but will also do Full HD at 120 frames per second for high speed video and capturing some awesome slow-motion clips. The high resolution lens is hermetically sealed with dual-pane glass and anti-fog treatment that protects the lens from condensation from sudden changes in environmental temperature. There's the Pro-Capture Mode that's been borrowed from the OM-D E-M1 Mark II, and it's waterproof down to 15m, crushproof up to 100kg and shock proof from 2.1m, as well as being dustproof and freezeproof down to minus 10 degrees Celsius. 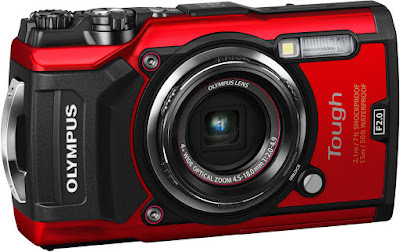 All-in-all, the Olympus TG-5 is one of the most capable, feature packed action and waterproof cameras out there. 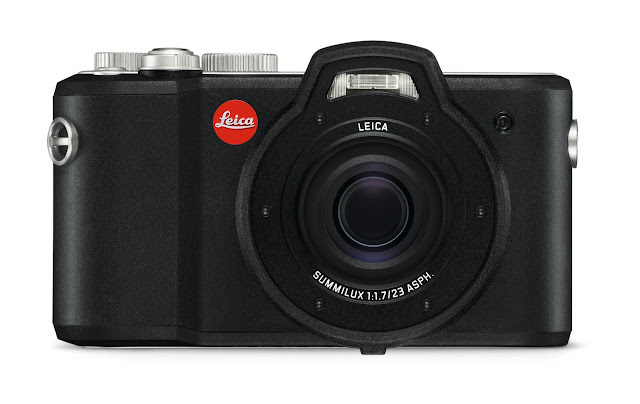 So you may not have been expecting to see a Leica on a list of the best underwater & waterproof cameras, but here it is. The Leica X-U was awarded a Highly Commended in the Park Picks 2017 awards because when we first heard about the possibility of this camera, we didn't think much of it. Imagine our surprise when this turned up in the Park Cameras warehouse. Leica really have done this properly. The X-U can be taken underwater down to 15 metres, it features an APS-C sized 16.2 megapixel sensor and has a 23mm Summilux f/1.7 lens which means it has excellent low light performance and can capture stunning shallow depth of field images. It's also shockproof from a 1.22 metre drop, will shoot Full HD 1080p video at 30fps, has an ISO sensitivity from 100-12,500 a 3" LCD monitor, a built-in flash for adding some extra light to your subaquatic images, an anti-skid rubber armouring to always give you a firm grip, and a failsafe double locking mechanism. If you're a Leica fan and you're looking for a premium underwater and outdoor camera, the Leica X-U (Typ 113) should be at the top of your shopping list. Hopefully you have found this list of 2017's 6 best waterproof cameras useful, if you'd like to see any of the cameras in person, visit us in either our Central London store or our Burgess Hill store and our friendly, expert staff will be happy to help you.